On Nov. 7, a visible image of Alcide taken by the Moderate Resolution Imaging Spectroradiometer or MODIS instrument aboard NASA's Terra satellite showed an organized storm with a thick band of powerful thunderstorms circling the center. The eye appears ragged on the MODIS imagery and is about 10 nautical miles wide. Satellite data taken after the MODIS image showed that the system continued to strengthen. The Joint Typhoon Warning Center said that at 10 a.m. EST (1500 UTC) on Nov. 7, Alcide had maximum sustained winds near 75 knots (86 mph/139 kph). It was centered near 10.6 degrees south latitude and 55.7 degrees east longitude. 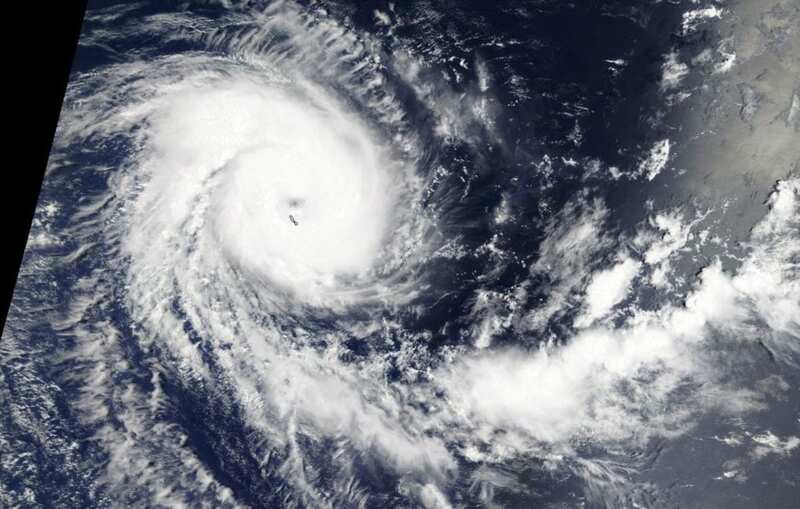 Tropical cyclone Alcide is located approximately 587 nautical miles north of Port Louis, Mauritius, and was moving to the west-southwest. Alcide is expected to strengthen over the next day or two before starting a weakening trend over cooler ocean waters.